There are so many ways to replicate bacon on a vegan diet! Tofu, tempeh, rice paper, carrots, zucchini – the list goes on. But this coconut bacon holds a special place in my heart because it's ridiculously easy to make and wonderfully crispy. The natural fat in the coconut offers a rich mouthfeel without added oil. If you are very sensitive to the flavor of coconut, you'll want to try a different recipe. 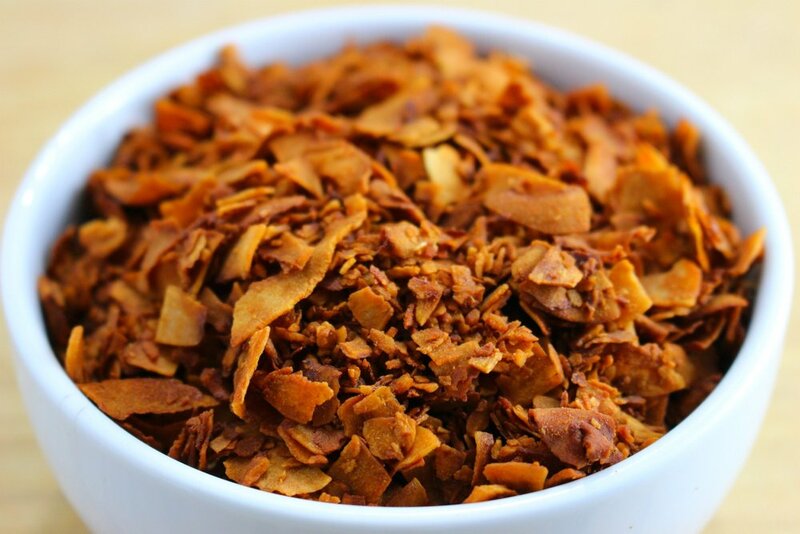 Coconut bacon is reminiscent of the real thing but not an exact copy. It's very versatile and makes a fantastic addition to sweet or savory dishes; I've used it in vegan cobb salad, on BLTs, as a topper for creamy potato-corn chowder, and sprinkled over maple donuts and cupcakes. Combine liquid aminos, liquid smoke and maple syrup in a bowl. Stir in coconut flakes to coat thoroughly. Marinate for 10 minutes. 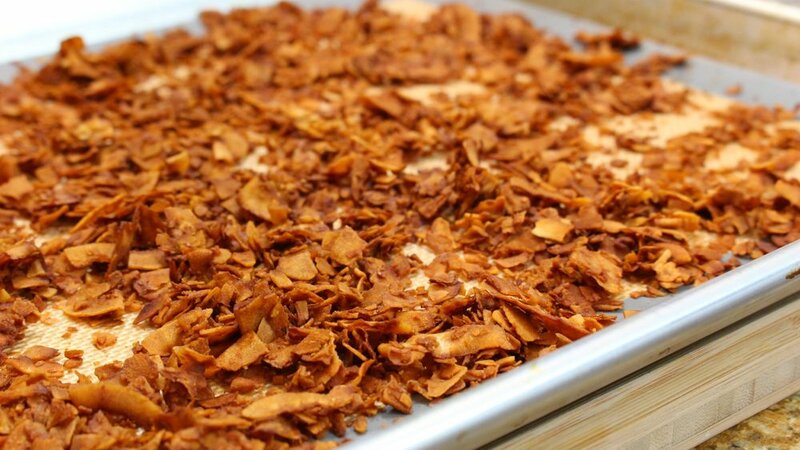 Transfer coconut flakes to a lined baking tray and spread out thinly and evenly. Bake in preheated oven for 15-18 minutes until deep brown in color. Stir every 5-7 minutes to prevent the edges from burning. "Bacon" crisps up more as it cools. Store for up to a week at room temperature or for a month in the freezer.